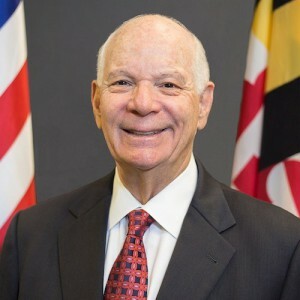 Rockville, Maryland, Nov. 6 – Sen. Ben Cardin has won a third term in the U.S. Senate. The incumbent Senior Senator from Maryland defeated Republican Tony Campbell. During the campaign season, Cardin responded to a disability issues questionnaire for Senate and gubernatorial candidates put out by RespectAbility, a nonpartisan, nonprofit national organization working to end stigmas and advance opportunities for people with disabilities. RespectAbility also reached out repeatedly to the campaign of Republican Tony Campbell, but received no response to the questionnaire from them. Maryland has more than 334,505 working age people with disabilities, but 58.9 percent of them are out of work. That means that just 41.1 percent are employed. In comparison, 80.2 percent of working-age residents of Maryland without disabilities are employed. Maryland ranks 17th in terms of employment rate for people with disabilities. This past July, new center at the University of Maryland opened that will be dedicated to employment possibilities for youth with disabilities. The Center for Transition and Career Innovation for Youth with Disabilities will be a division at the School of Education. The center will conduct research work on college and job preparation for high school students with disabilities. The University of Maryland, College Park will partner with the Disabilities Department, the Division of Rehabilitation Services and the Division of Special Education & Early Intervention Services for the center. Meanwhile, youth with disabilities, along with adults with disabilities, can find services in the state’s active Division of Rehabilitation Services (DORS). DORS connects businesses with people with disabilities, who have the job skills, during the hiring process. In 2017, they matched 2,565 employees with disabilities to different jobs. They also offer counseling, career assessments, technology and training. Likewise, DORS offers business owners and hiring managers awareness training, inclusion initiatives and consultations.